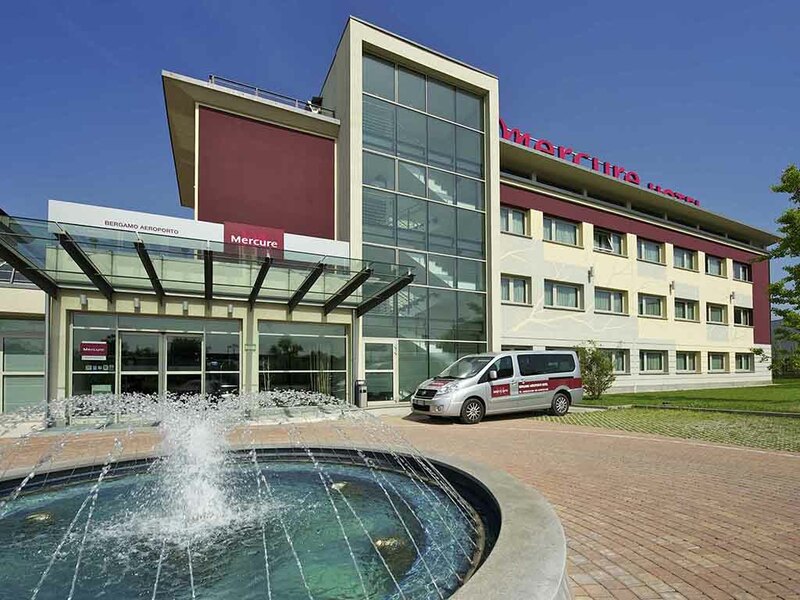 The Mercure Bergamo Aeroporto hotel is ideal for business trips, thanks to its proximity to the A4 highway and Orio al Serio airport. With Bergamo 3.1 miles (5 km) away, the hotel is also a great base for a gastronomic and cultural voyage of discovery. Self-service business center, PressReader service. Cascina Sant'Antonio restaurant, open for dinner, overlooking the lovely internal garden. Private indoor parking with direct access to the hotel and a shuttle service to/from the airport for a fee. Our Standard Rooms have traditional decor with accessories in pastel shades. These rooms are in the building that was once the old farmhouse, which has now been restored. Our Superior Rooms have modern decor and a bathroom with a large shower and anti-fog mirrors. These rooms are in the newly constructed building and the doors and windows guarantee a high level of soundproofing from outside noise. Every evening at the Pegaso bar, guests can enjoy a snack service offering fresh food and sample our fabulous cocktails.